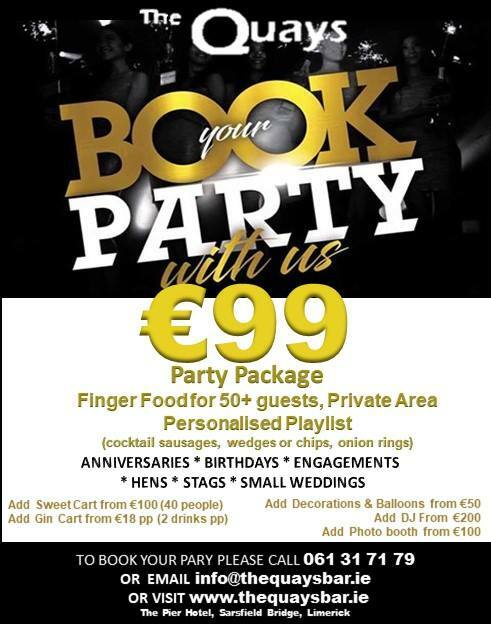 The Quays Bar Limerick -Book your party here! At the Pier Hotel, we have an area we can exclusively reserve for private party functions. Have you got a family event coming up? Then why not book the Pier Hotel for your special occasion? We cater for all those wonderful moments. With our own private function area available, it is the perfect venue for birthday parties, engagement parties, community events and conferences.